See before and after photos below. 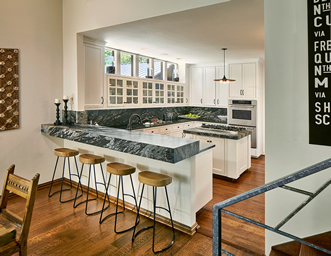 Our clients’ goal for this interior renovation was to transform the main living areas, which included the entry foyer, family, dining, breakfast and kitchen to better reflect their design style and make the spaces more functional for their family. A very high priority was removing the awkward overhead trellis structure and knee walls surrounding a raised sitting area at one end of the family room. They wanted to open the space to the living area with minimalistic railings and a stunning dry bar to create an area for entertaining guests. 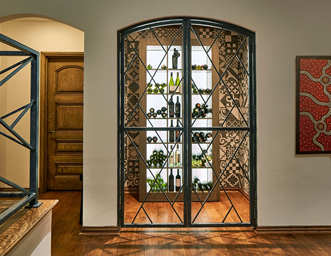 Another goal was to transform a storage closet into a wine grotto that complements the dry bar area. Lighting in all of the common areas was inadequate and needed a serious overhaul as well. 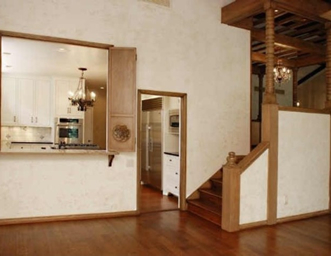 They also wanted to open the kitchen wall to the breakfast room with a raised eating counter and bar stools. The architectural plans, elevations and detailed shop drawings were created by our in-house designer. A professional lighting designer created a new lighting plan that included LED lamps and Lutron lighting control devices. The existing hardwood floors would require modifications to extend into the new wine closet and infill the areas where the knee walls were removed. 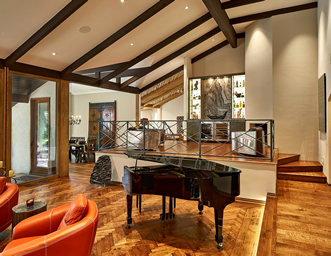 Reclaimed vertical grained, rift-cut red oak flooring was used to match the existing floors to ensure a seamless transition. 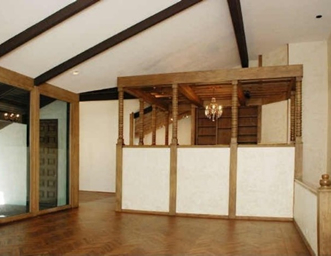 Cedar beams were added to the ceiling where the trellis structure was removed to continue the existing beam patterns. Heavily textured walls and ceilings had to be floated smooth and painted to complete the new transitional style of design they preferred. 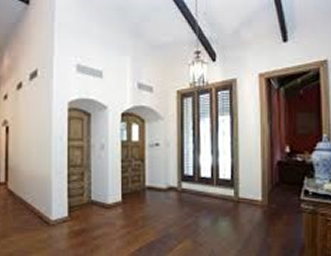 Let our team of architects, designers, and construction professionals help you with space planning and design ideas. 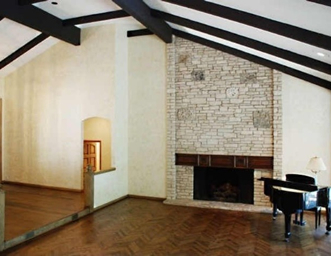 To learn how Capital Renovations Group can help you with your interior living space project, call 214-495-7200.